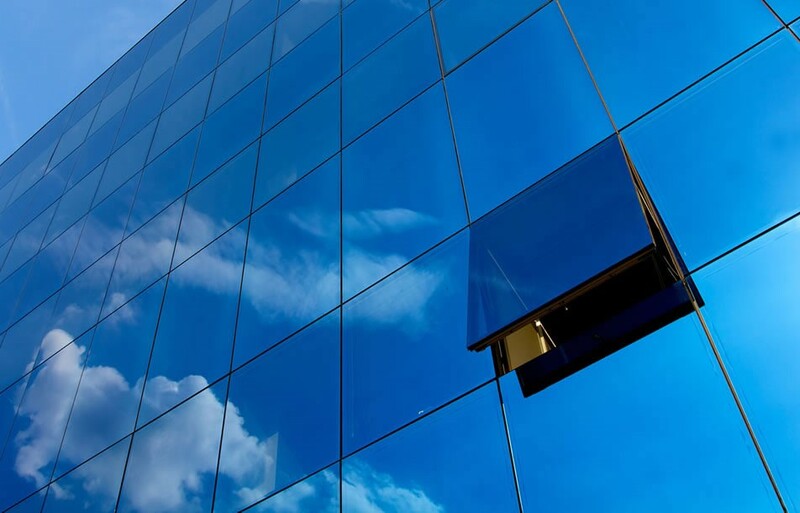 Savio specialises in hardware for aluminium windows and doors. The company has always focused its activity on research and quality. Its R&D department counts 51 experts out of 450 employees and is constantly in search of new solutions and product improvements. Quality is guaranteed by a severe control system developed in-house to attain maximum selectivity and attention. Slideart TS is the specially designed parallel tilt and slide mechanism for aluminium doors and windows. It grants perfect seal with great versatility and security. High quality stainless steel, extruded aluminium and special polymers guarantees corrosion resistance and durability. The special templates and stainless steel Torx® bolts make installation easier and quicker and reduce the possibility of errors. SLIDEART TS delivers top performance, a load capacity of up to 150 kg, with a width of up to 1700 mm and a height of up to 2700 mm. The caps and covers can be powder coated in your preferred colour offering plenty of design freedom for finishes. The special design harmonises the shapes of all the parts, hides the fixtures and eliminates any work on the guides and covers. The result looks perfect. 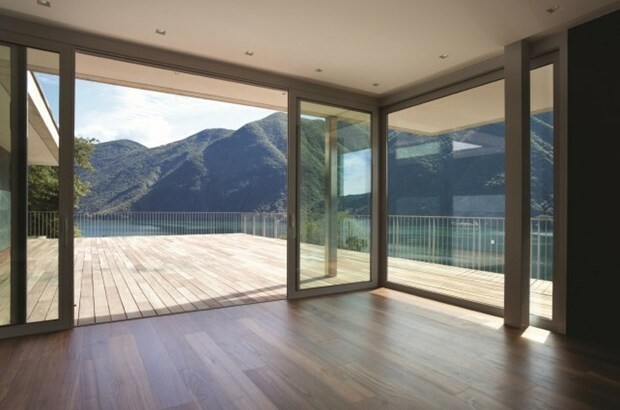 SLIDE ART LS is a High Performance tilt and sliding door. It is tested at 300 kg for 25,000 cycles with the possibility of achieving 400 kg thanks to the additional roller kit. Corrosion resistance is very high, in fact SLIDEART LS components have been tested for up to 1000 hours in salt mist. It is extremely sturdy because its main components are in stainless steel. No architectural restrictions: with SLIDEART LS stepping outside is made easy by the reduced threshold, perfect for the disabled and in compliance with DIN 18025. Beauty is always within reach, without any obstacles or architectonic restrictions. Highly fluid movement: The leaves can be operated with ease and comfort thanks to the perfect design and fulfilment of the sliding components and the sturdy handle with a modern and elegant design. SLIDEART MAG is the new magnetic-levitation lift and slide system for all materials doors. Slideart MAG is designed to solve the problems that minimal sliding mechanisms often cause during engineering, construction and installation. The trick was to liberate the door of all the accessories and transfer them to the upper crossbar and the side bar of the fixed frame. Secondly, a new lifting system for the doors was created, which is based on the repulsion of pairs of permanent magnets of the same polarity suitably located on the fixed frame to which the doors are attached. The lifting capacity is extremely high, 250 kg per meter without height limit for the doors. The magnets have a lifespan of 400 years, as manufacturers grant. Slideart MAG can be installed on sliding frames in any material: aluminium, steel, wood and PVC. Special handles: Specifically designed for curtain walls, handles are enriched with new models, all equipped with ergonomic grip, linear aesthetics and high strength steel slider. They are also available in bidirectional versions and with or without key. Double handle bar joined: a practical and innovative solution that allows a smooth parallel opening of the window even with one hand, simultaneously acting on the two handles. SUMMA is an innovative hinge that can be regulated after the window has been installed in order to get perfect alignment. 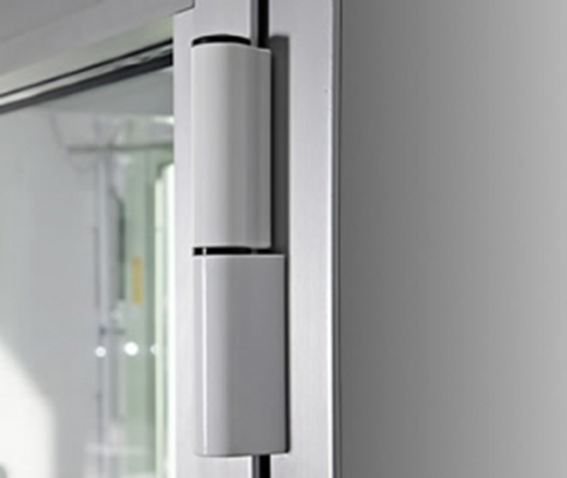 REKLO’ is an innovative hinge with integrated door-closer. 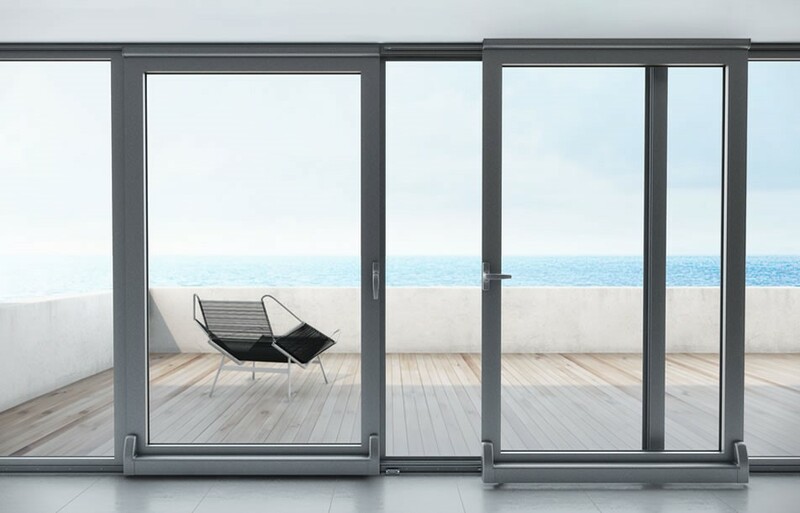 It is suitable for aluminium doors, easy to install and fit for all applications because it does not require any building works. Its load capacity is 120 kg. Opening width is 180°: between 170° and 180° it has a damped system to protect the hinge. It is tested up to 500,000 cycles and has a closing strength 3/6. 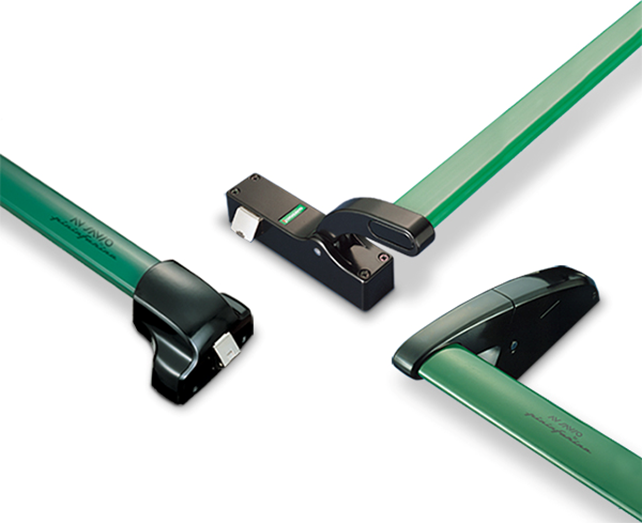 MECHANICA is the most performing hinge, it is a patented system. It is suitable for aluminium doors. Tested up to 200,000 cycles, it is extremely strong, able to stand a pushing load up to 1000 kg (EB3). It is SKG certified for class 3 anti-burglary security. Juvarra and Brunelleschi panic push-bars are designed by Pininfarina. Their compact and pleasant sobriety combines with excellent functionnality. They have exceptional opening safety in case of double leaf, in fact the translating plate latch completely eliminates any jamming during the opening phase when using two leaves. Moreover, the manoeuvring strain is extremely reduced thanks to the self-lubricating nylon insert. Juvarra and Brunelleschi combine style with high hygienic performances as they are provided with Biocote® coating, a special antibacterial treatment that makes them perfect for use in public places such us schools, hospitals and officies. They have a certified durability of 2,000,000 tested cycles. The special shape of the latch offers greater resistance against burglary attempts. Savio manufactures a wide range of handles which are available in many finishes and very easy to install. They have comfortable grip and can be provided with key. ARIANNA has an aggressive look combined with high reliability and sturdiness. It is suitable for standard leaves and for tilt-and-turn. It has precise click in the various positions (0°, 90°, 180°). MANON has Pininfarina design combined with high reliability and sturdiness. It is available with lower handle in case it is necessary to save space. TURANDOT has a rounded design combined with high reliability and sturdiness. It is available with lower handle in case it is necessary to save space and can be provided with safety block. All handles can be provided with Biocote® antimicrobial coating.